“Siwezi kuona”, I can not see, says the gentle looking 68 year old father of four and grandfather to many. Baba Jacob’s vision has been declining for the last ten years and so has his ability to look after his family and farm. One of his grandchildren, whose voice he knows well but has never seen his face, guides him back from the examination centre. The news this time is not good. Baba Jacob is blind in both eyes from glaucoma. Glaucoma is known as the “silent thief”, people slowly lose their vision with no pain and no symptoms. Only when their vision tunnels in and they find they are unable to cope do they become aware of their sight loss. Unlike some other eye conditions, glaucoma is not reversible. Once the damage has been done there is little that can be done to help. It is a painful truth that if this man lived in different circumstances, there is a good chance he would still have his sight now and would not be walking back to his home having had his hopes of sight restoration dashed. It is the worst part of this job, looking in to someone’s eyes and knowing that in the next few moments you are going to deliver the words that will break his heart. Seeing the loving family stood by his side as though on trial, awaiting the verdict, one they hope will be the news the Baba Jacob will get to see what his youngest grandchildren look like. If Baba Jacob had been examined whilst his sight was still good and the glaucoma detected, he would have had a fighting chance of keeping his vision till the end of his life. As things are he will spend the rest of his life in the dark. If there had been a way of everyone in rural communities having access to a simple affordable eye tests, then maybe Baba Jacob would have been playing games with his grandchild rather than being guided home by him. 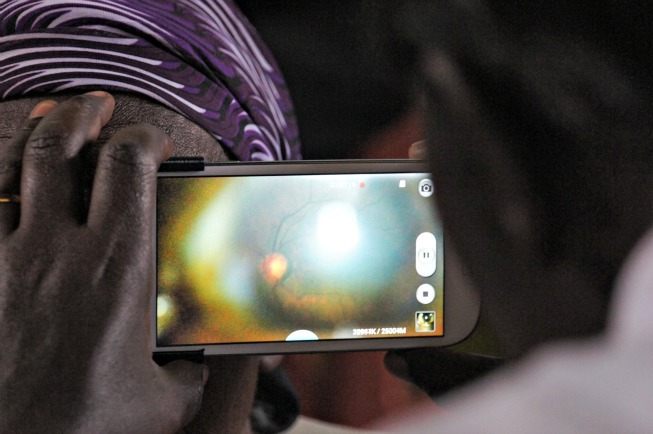 We hope through the development of this new mobile phone technology that health care workers with minimal training will be able to examine hundreds of people in a day and pick up those with signs of eye disease at an early stage. Community workers are using the phone to measure vision, eye pressure, the field of vision and take photos at the back of the eye. Experts are able to give feedback remotely and everyone with a problem will be locatable on a map. For Baba Jacob we came too late, but hopefully his children and grandchildren will not now suffer the same fate. 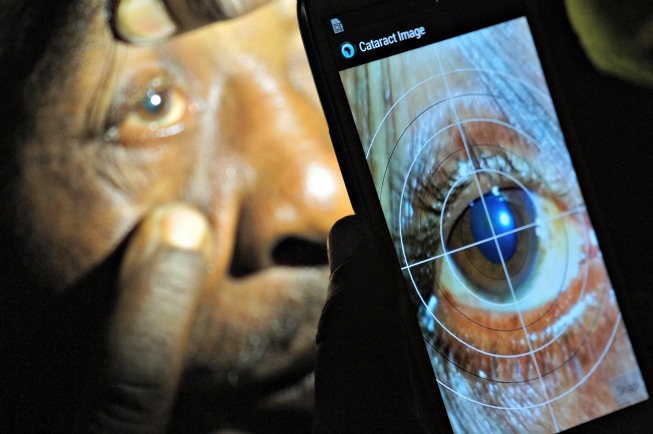 The dream is, that simple, low-cost eye disease detection will make it possible to one day ensure that needless blindness is something we once wrote about. 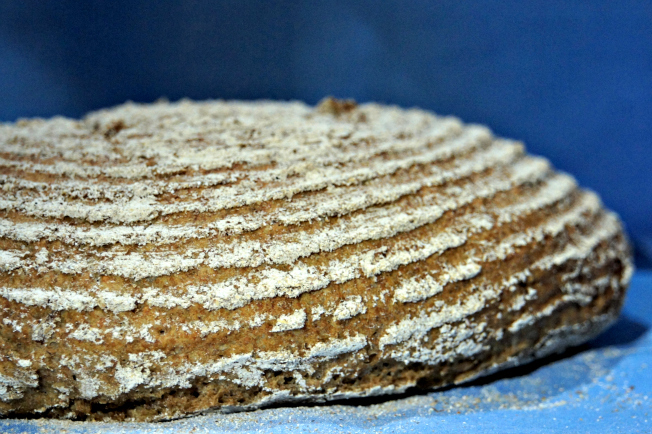 In a large bowl mix together the flour, salt, quick yeast and sugar. Add the water and roughly mix it into the flour. While the dough is still lumpy add the oil and knead well until it feels smooth and pliable. Leave the dough covered with a tea towel, in a draught free place, for it to double in size. (This should take about an hour). Bake in a preheated oven 35/40 minutes. so lovely to see you all today – keep us informed about your BBC converage!